There’s nothing in the world that oozes class on a football pitch like a player with a golden left foot. Given the fact that almost 80% of all footballers are predominantly right footed, left footers are a rare breed in football. There was a time when left-footed players were only meant to run through the left side of the field and cross the balls for others to head into the net. As such, they were mostly wingers and left backs, but with time, skillful left-footed players arrived, who did almost everything, from dictating the midfield to scoring fascinating goals. The modern aspect of the game saw a rise of the inverted wingers, which made left-footed players a rage. Owing to their scarcity in the game and because of the fact that most people have a weaker left side, left-footed footballers have been extremely popular among the fans for decades. There is an inherent charm in left-footed players that cannot be defined in words and it has been evident through time. Football history has provided the world with some fascinating football players with an even more enticing left foot and the trend continues in the present day. 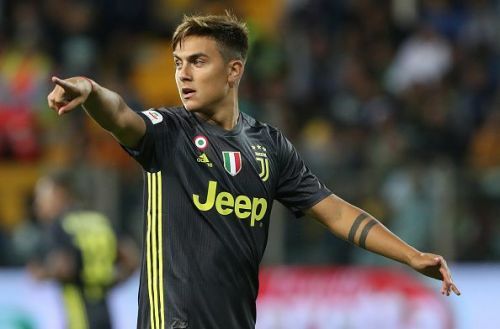 Today, we take a look at the best 7 Left Footed Football players in the world right now, which includes 1 African, 3 Europeans and 3 Argentinians! Read on to find more! The Egyptian phenomenon could not make his mark in the Premier League initially and had to relocate to Roma, first on loan and then on a permanent basis. Yet, the two seasons at Roma were enough for Liverpool to identify his potential and bring him back to the Premier League. Salah is quick, he works hard and has great ball control. He likes to come inside from the left, so that he can work the ball on his left foot and shoot on target. He has an excellent first touch and also likes to play short passes with his teammates near the penalty box to put himself through on goal. It was his left foot that scored the penalty which sent Egypt to the FIFA World Cup tournament for the first time in 18 years. 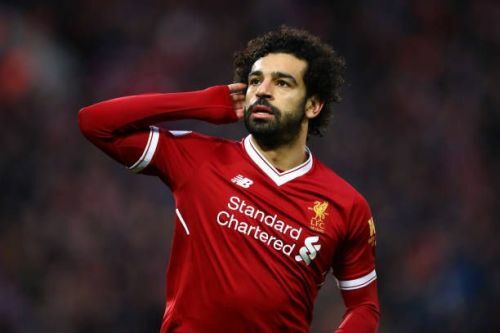 Quite deservedly, last season, Salah won the Football Writers’ Association Player of the Year award, set the record for the most league goals in a 38 game season, was adjudged the Premier League Player of the season and won the Premier League Golden Boot. As of now, Salah has scored 36 goals from 53 appearances in the Premier League and 28 of those goals were from his left foot!